Growing up in Bangladesh, Muhammad Yunus witnessed extreme poverty all around and was determined to eradicate it. 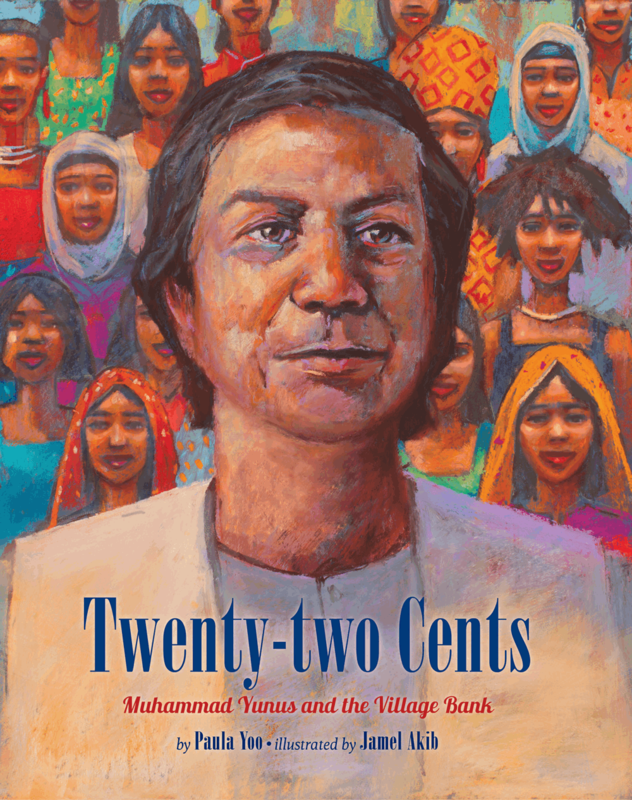 In 1976, as an Economics professor, Muhammad met a young craftswoman in the village of Jobra who needed to borrow five taka (twenty-two cents) to buy materials. No bank would lend such a small amount to an uneducated woman, so she was forced to borrow from corrupt lenders who charged an unfair interest rate, and left her without enough profit to buy food. Muhammad realized that what stood in the way of her financial security was just a few cents. Inspired, Muhammad founded Grameen Bank where people could borrow small amounts of money to start a job, and then pay back the bank without exorbitant interest charges. Over the next few years, Muhammad’s compassion and determination changed the lives of millions of people by loaning the equivalent of more than ten billion US dollars in micro-credit. This has also served to advocate and empower the poor, especially women, who often have limited options. Twenty-two Cents is an inspiring story of economic innovation and a celebration of how one person, like one small loan, can make a positive difference in the lives of many.